Here it is, Memorial Day weekend. We have waited for warm weather and the long weekend. Well, we got both this weekend. 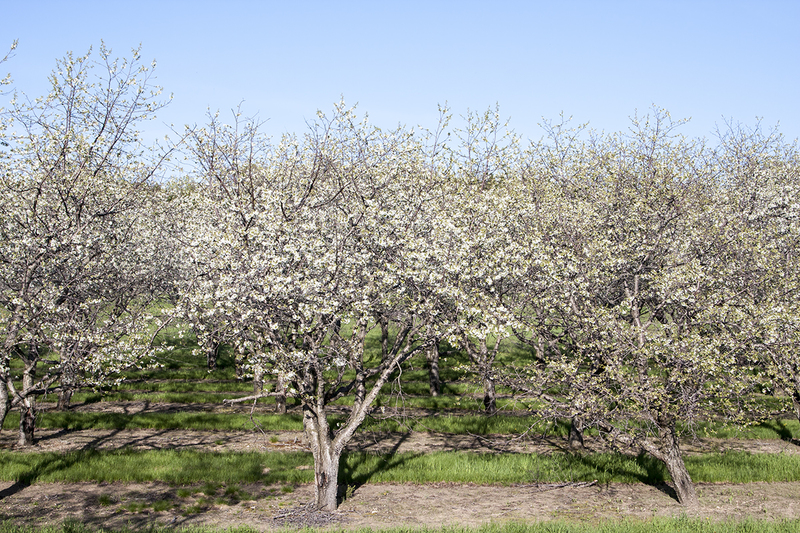 Sunny skies, warm and dry weather. You couldn’t ask for much better than this. Saturday morning started with a kayak ride on the lake. Lots to see, as usual. 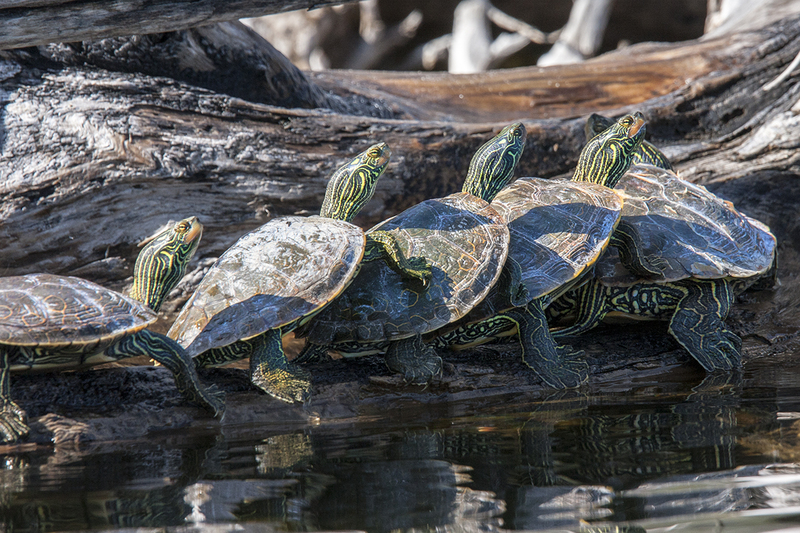 There were LOTS of turtles out, sunning on logs. 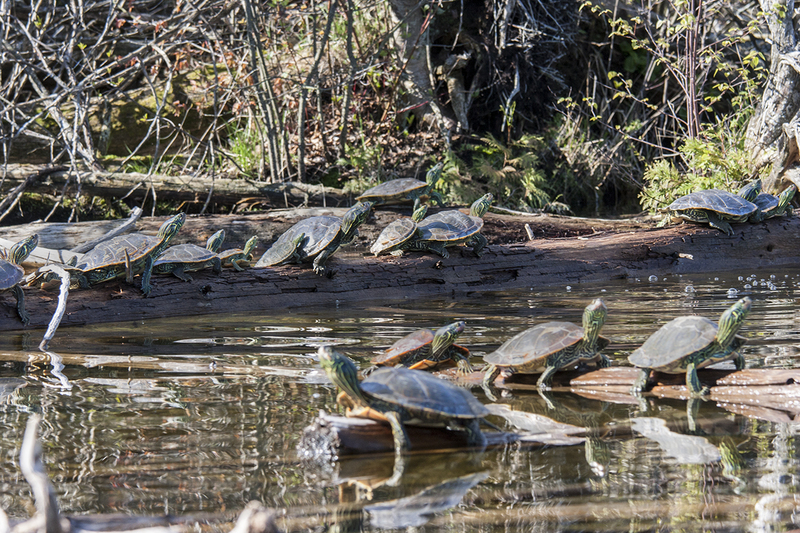 I think this one is a personal record for me for the most turtles in a single photo! 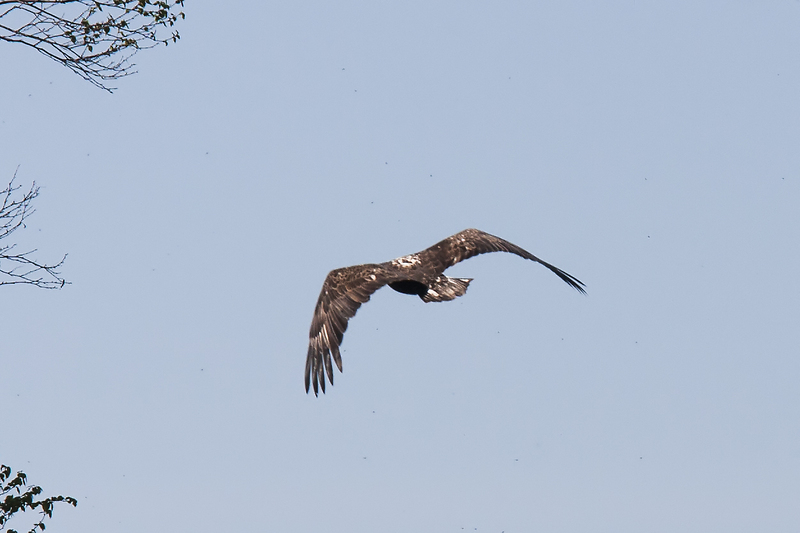 It was great to see this young eagle. It was nearly full size, but didn’t have the coloring of an adult. 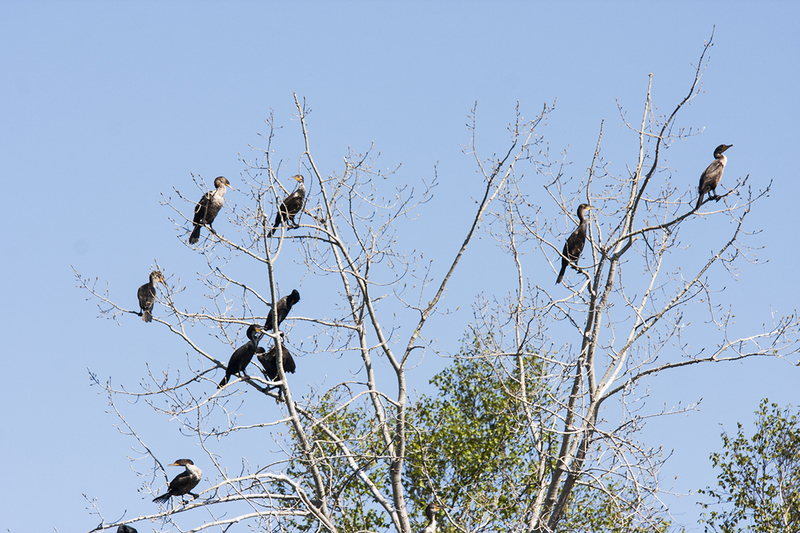 I’ve never seen cormorants on Duck Lake before, but there were a dozen or more in this tree. 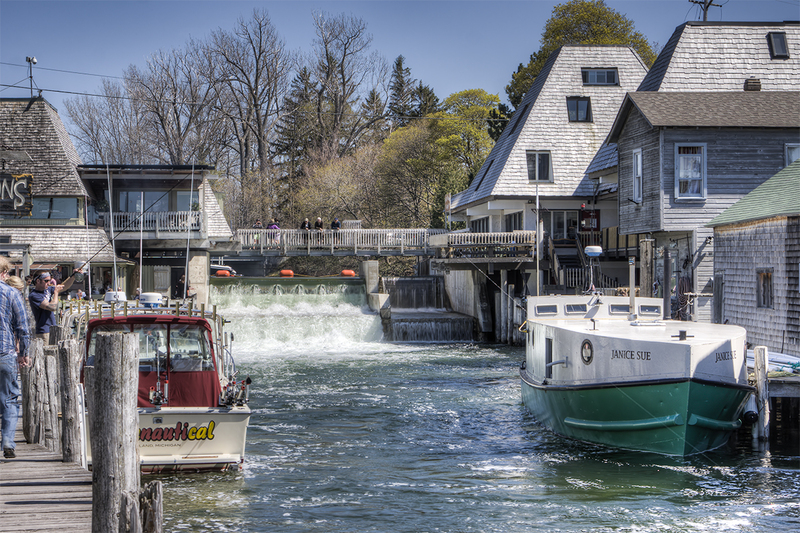 Saturday afternoon took us to the Leelanau Peninsula. 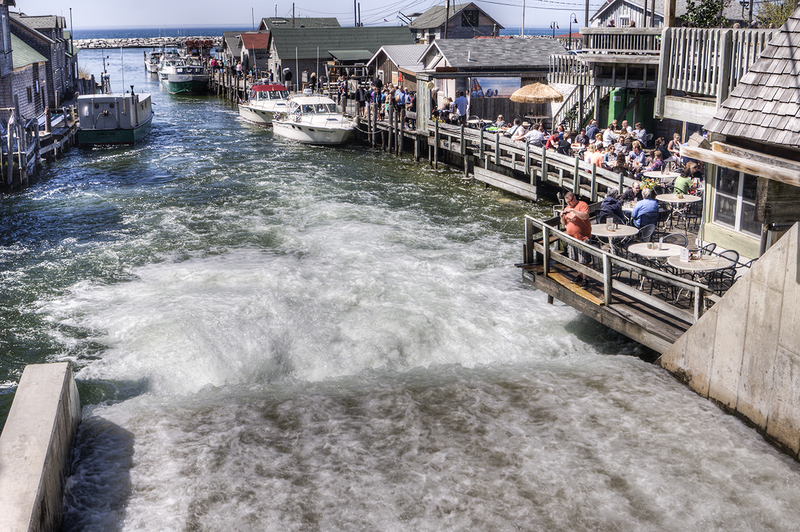 Fishtown at Leland always has something to photograph. 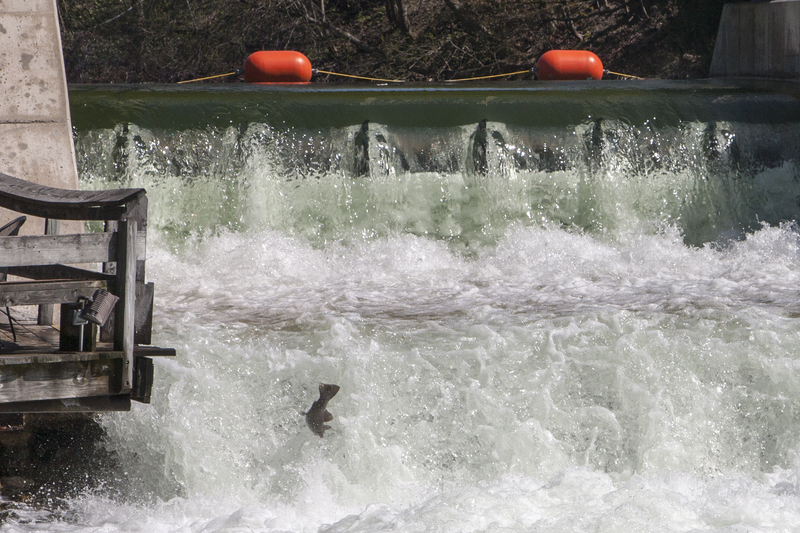 I have never seen fish jumping up the dam at Leland before. Here is one that didn’t make it. 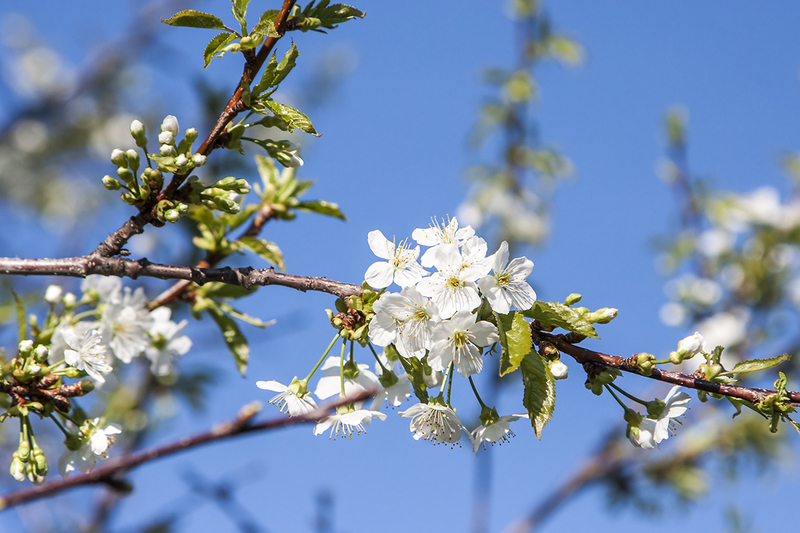 And, the cherry blossoms are out. They are a couple weeks late this year, but still so nice to see. It has been a wonderful weekend up in northern Michigan. I hate to see it come to an end. I hope your weekend has been as nice as ours. 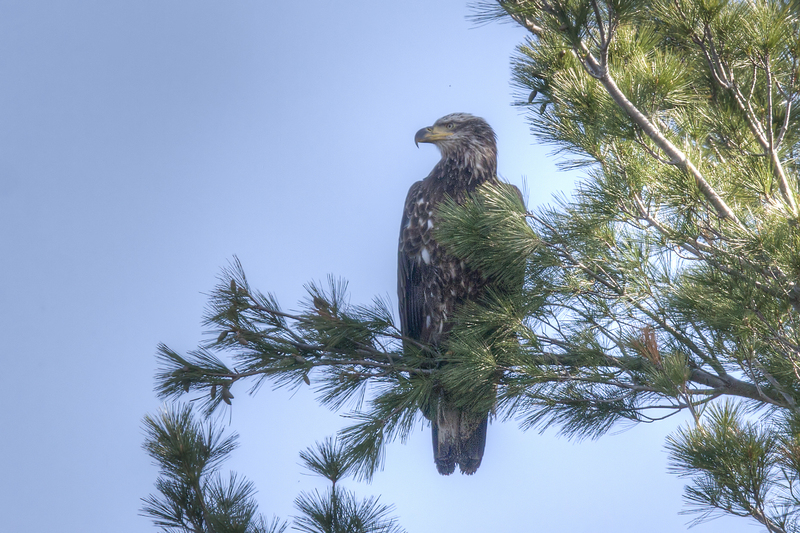 This entry was posted in Northwest Michigan, Orchestra Camp Colony and tagged Cherry Blossoms, Cormorants, Duck Lake, Eagle, Fishtown, Nature, Turtles. Thank you so much, Mark, for sharing. The turtles shots are incredible but love all these pics. Should be there by 7th. God willing!